Our advanced pure water fed pole window cleaning system is ideal for commercial property. 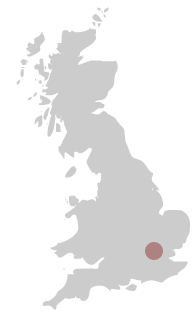 Excel have been established since 1994 and have extensive experience providing commercial business with cleaning services. We cover all aspects of window cleaning for your business from small shop front windows to high rise buildings. The pure water technology is fast so we minimise any disturbance to your business activity. The results also last longer and are kinder to the surfaces cleaned. The service also meets the Health and Safety obligation of your business and we are SAFE Contractor Approved for our commercial window cleaning services. Fully trained and reliable staff. Most windows cleaned from the ground. Our fully trained and certified window cleaners will take every care and show consideration for the environment. Such commitment on our part helps you to comply with any Corporate Social Responsibility policy you may have in place. Why use pure water technology? Cleans window frames as well as glass. Reduces disturbance at your premises. 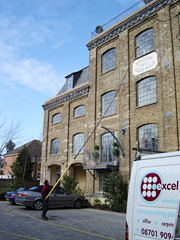 Excel window cleaners provide commercial and communal contract window cleaning and general office cleaning throughout Essex and parts of London. We also carry out residential window cleaning services. If you need reliable a reliable window cleaning service for your Essex based company please contact us and one of our team will be pleased to provide a free quotation. Remember that we also specialise in high rise window cleaning and difficult access situations where traditional window cleaning methods may fail our system gives you the advantage.